Curious about Reformer training ? We recommend for your safety you first join our intro course to find your awareness in movement on the Reformer machine. If you have instability, aches and pains or postural issues you learn to Find your stability and strength quicker with the support of the Reformer. The Reformer is also the start of the Pilates apparatus studio method and places you well to progress to our Semi- Private training where you progress in small groups using the studio apparatus. 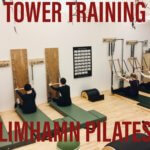 If you have trained before or completed our Reformer Intro course this is where you start at Limhamn Pilates. 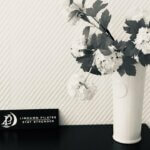 You learn the Classical Reformer method which demands deep precision and awareness in movement. Its not the level that matters but the depth of the training in your body that determines your progression. This is a challenging class but you also start where you are and train within your individual capacity whether you are a beginner or improver. Our classes are often with mixed abilities and we progress you all. What is a Pilates Reformer ?